Last Wednesday, AHCA’s Intellectual and Developmental Disabilities (ID/DD) Residential Services Providers were in Washington, D.C. for AHCA’s annual Hill Fly-In event. Participants heard from several Congressional speakers, including current and former Hill staffers and members of Congress. The began with a Hill update from Congressman Dwight Evans (D-PA-02), and was followed by a Managed Care update from Camille Dobson, the NASUAD Deputy Executive Director. Attendees also had the opportunity to hear from a Congressional Hill panel that included the Honorable Earl Pomeroy, the Honorable Jim McCrery, Bob Russell and Dan Elling. AHCA’s ID/DD providers then headed in the afternoon to Capitol Hill to discuss critical issues, including Medicaid, Medicaid Managed Care and workforce shortages. There are some pictures posted online from the day's activities. If you have any questions relating to this event, please don’t hesitate to contact AHCA’s Senior Director of Not for Profit & Constituent Services, Dana Halvorson. Hospitals are keeping a close watch on their Medicare patients to ensure that they are not readmitted within 30 days of discharge, including those hospitalized Medicare beneficiaries who live in assisted living settings. Hospitals face having Medicare reimbursements withheld if their rehospitalization rates are too high. In October 2018, SNFs also will face financial consequences if their rehospitalization rates are too high. Managing rehospitalization rates has become a key part of a successful assisted living business strategy in caring for the elderly in an increasingly competitive marketplace. Research conducted by AHCA/NCAL in 2016 found that the rehospitalization rates in nursing facilities with at least one RN certified in gerontological nursing by the American Nurses Credentialing Center (ANCC) consistently have run at least two percentage points lower than the national average since 2011. AHCA/NCAL believes that assisted living settings may experience similar results by increasing their RNs’ gerontological expertise. ANCC is the world’s largest and most prestigious nurse credentialing organization and a subsidiary of the American Nurses Association. Less than one percent of America’s RNs are ANCC board certified in gerontological nursing. To help increase the number of board certified RNs, AHCA/NCAL’s Gero Nurse Prep program is designed to help RNs prepare for and pass the ANCC gerontological certification exam. RNs who complete the AHCA/NCAL Gero Nurse Prep program have a passing rate of 96 percent on the ANCC exam and receive 30 CEUs. AHCA/NCAL Gero Nurse Prep is on sale now through April 30 and each RN registrant can save $100 off his/her Gero Nurse Prep by entering promo code QUALITY17 (all caps) at checkout. That means RNs who are interested can become board certified for less than $1,000 ($590 sale price for AHCA/NCAL Gero Nurse Prep and a separate $395 to take the ANCC exam). Watch this video to learn more about AHCA/NCAL Gero Nurse Prep or click on the course preview to get a quick view of this engaging on-line curriculum designed to help RNs pass the ANCC exam. Remember to enter promo code QUALITY17 by April 30 and save $100 off the registration fee. On Friday, the House of Representatives withdrew the "American Health Care Act," the bill to repeal and replace the Affordable Care Act (ACA). House Leadership announced that the bill would be withdrawn moments before a scheduled vote on the bill late Friday afternoon. President Trump indicated last week that he will move on to other issues - such as tax reform - if this bill (H.R. 1628) did not pass the House. News reports this week indicate there is still talk among GOP leaders to continue efforts to repeal the ACA in the future. We will continue to encourage Congress to protect Medicaid access for seniors and people with disabilities in any future Obamacare repeal and replace efforts. The legislation included a provision that would cut more than $800 billion from the Medicaid program. Over the past several weeks, tens of thousands of AHCA/NCAL members have contacted Members of Congress, urging them to protect funding for the neediest and frailest citizens of our country. Hundreds of members traveled to D.C. last week to help share the message in person on the importance of protecting funding for seniors and individuals with disabilities. AHCA/NCAL continues to work closely with Congress and the Administration and will share important updates. CMS Corrects Part B Therapy Fee Schedule Pricing Error – Action Needed! On December 13, 2016, AHCA alerted you that the Centers for Medicare and Medicaid Services (CMS) had posted the calendar year 2017 Medicare Part B Physician Fee Schedule file, and that AHCA had posted a therapy code pricing file as a resource to our members. However, in a recent MLN Matters announcement, CMS stated that there were errors in their pricing files of seven of the eight new codes for physical therapy (PT) and occupational therapy (OT) evaluations that were introduced on January 1, 2017. These errors have resulted in minor underpayments for the PT evaluation codes 97161-97163, and more significant underpayments for the OT evaluation codes 97165-97168 from January through March 2017. The CMS pricing file will be corrected on April 1, 2017, and will be applied retroactively. Provider therapy and billing staff should review these procedure price corrections to evaluate the scope and amount of underpayments. Please note that CMS instructed the Medicare Administrative Contractors (MACs) to not automatically correct claims already processed prior to April 1. However, CMS instructed the MACs to adjust any such claims that providers bring to their attention. Due to these changes in the CMS 2017 Medicare Part B Physician Fee Schedule file, AHCA has posted an updated therapy code pricing file on our website. AHCA again extends thanks for the efforts of Tony Marshall, President and CEO of the Georgia Health Care Association, for updating this data file. The following text contains detailed information related to how the CY 2017 AHCA therapy pricing file was constructed, and includes links to the relevant source CMS documentation. Please note that the fees effective January 1, 2017 are calculated based upon the Calendar Year (CY) 2017 Medicare Physician Fee Schedule (MPFS) Final Rule (CMS-1654-F) published in the Federal Register on November 15, 2016. This final rule reflects the requirements of the Medicare Access and CHIP Reauthorization Act of 2015 (MACRA) which repealed the Sustainable Growth Rate formula. Further, the MACRA allowed for a one-half percent (0.5%) update from July 1, 2015, to December 31, 2015, a one-half percent (0.5%) update for CY 2016, and allows a one-half percent (0.5%) update for CY 2017. The MACRA also extends the physician work geographic practice cost index (GPCI) floor of 1.0, and the therapy cap exceptions process, through December 2017. (The CY 2017 therapy cap amount is $1,980 for outpatient occupational therapy and $1,980 for physical therapy and speech-language pathology services combined.) Additionally, as required by the ACA, the 1.5 work GPCI floor for Alaska and the 1.0 practice expense GPCI floor for frontier states are permanent, and therefore, applicable in CY 2017. The final rule continues the multiple procedure payment reduction (MPPR) policy for “always therapy” services. The MPPR policy required, effective April 1, 2013, a 50 percent reduction to be applied to the practice expense component of payment for the second and subsequent “always therapy” service(s) that are furnished to a single patient by a single provider on one date of service (including services furnished in different sessions or in different therapy disciplines). The MPPR worksheet lists those “always therapy” services subject to the MPPR policy and the reduced fee payment amounts. Further, the final rule updates the Medicare Part B therapy code list for CY 2017 by adding eight “always therapy” codes (97161 – 97168) for physical therapy (PT) and occupational therapy (OT) evaluative procedures and deleting the four codes currently used to report these services (97001 – 97004) at the end of December 2016. Please see Transmittal 3654/Change Request 9782 and Centers for Medicare and Medicaid Services (CMS) MLN Matters article MM9782 for complete information on the 2017 Annual Update to the Therapy Code List. Finally, supporting documentation and downloads for Regulation #CMS-1654-F may be found here. An overview of the Physician Fee Schedule Payment Policies may be found here and an overview of skilled nursing facility consolidated billing and annual updates may be found here. This revised version reflects changes published in the Federal Register on March 22, 2017, which corrected a technical error in the allocation of indirect practice expense for CPT codes 97161 through 97168. These corrections are effective retroactive to January 1, 2017 as if they had been included with the final rule published November 15, 2016. Please note that Medicare Administrative Contractors (MACs) were told that they need not search their files to either retract payment for claims already paid or to retroactively pay claims already processed: however, the MACs will adjust such claims that providers bring to their attention. Make sure that billing staffs are aware of these changes. Please see Transmittal R3719CP/Change Request CR 9977 and Centers for Medicare and Medicaid Services (CMS) MLN Matters article MM9977 for complete information on the April CY 2017 Quarterly Update to the MPFS. AHCA/NCAL advocates sent over 50,000 letters to Capitol Hill over the past four weeks to urge Members of Congress to preserve Medicaid funding for America’s most vulnerable and frail populations. Over 15,000 individuals from all 50 states and the District of Colombia participated in the campaign. The campaign focused on the American Health Care Act, legislation that focused on repealing and replacing the 2010 health care law. The legislation included a provision that would cut over $800 billion from the Medicaid program. Republican leadership ultimately failed to gather the support needed for the bill in the House and it was never brought up for a vote. AHCA/NCAL also increased its advocate database by 12.8%, as current advocates and members encouraged other individuals in long term and post-acute care to participate in the effort. AHCA/NCAL would like to thank everybody who participated in the effort. The 2017-2018 election cycle has officially opened for AHCA members in good standing interested in running for the AHCA Board of Governors. The AHCA elections are for three officer positions (Chair, Vice Chair, Secretary/Treasurer), one Independent Owner Representative, one Regional Multifacility Representative and two At-large Representatives. AHCA members interested in running for an AHCA Board position may obtain the necessary candidacy materials online. Applicants must complete and electronically submit the AHCA candidacy materials by close of business on May 22, 2017. Candidates will submit completed materials by sending an e-mail to Christy Sharp. The AHCA elections will take place during the second Council of States meeting at the AHCA/NCAL 68th Annual Convention & Expo, October 15 - 18 in Las Vegas, NV. Once the application phase has ended, the AHCA/NCAL Credentialing Committee will hold an in-person meeting to conduct a certification process for each candidate. 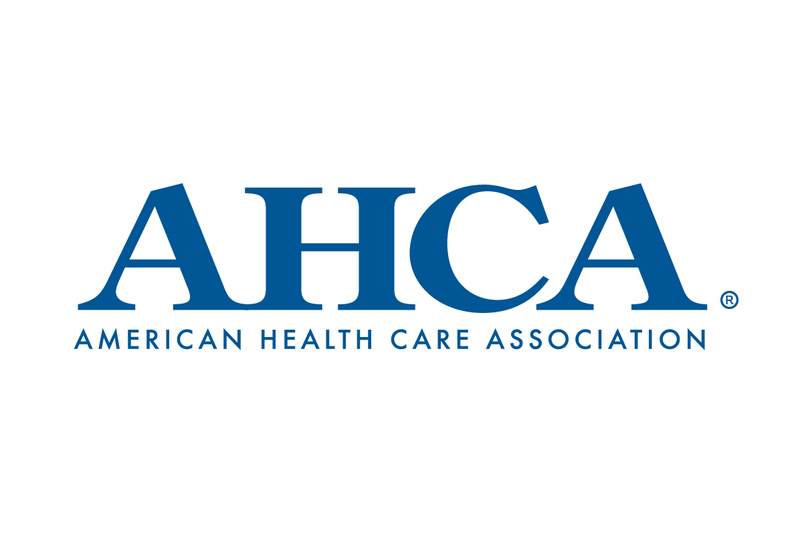 Once certification occurs, AHCA will announce the slate of candidates to the membership. If you have further questions, contact Christy Sharp. on AHCA’s new Online Blended Nurse Assistant Training program! Join us next Thursday for a free webinar to learn more about the benefits and cost savings of AHCA’s new blended program for training and certifying highly qualified nurse assistants. Using the acclaimed How To Be a Nurse Assistant curriculum, you can now train CNAs with a combination of online study and in-person clinicals without compromising any of the quality you have come to expect from AHCA. You will also have the opportunity to ask questions. Visit CNAonline.ahca.org for more information about the online program. Re-hospitalization rates are critical to SNFs future success because CMS is tracking skilled nursing rehospitalization rates on for the new SNF Value-Based Purchasing (VBP) program this year. Under the VBP program, claims for services furnished on or after Oct. 1, 2018, will be subject to a 2 percent withhold. Providers will have the opportunity to get some or all of this money back depending on how well they do in managing hospital readmissions and meeting or exceeding performance standards. SNFs will be rated on achievement against all other facilities nationally as well as on their own improvement, comparing their rate during 2017 with their previous performance during 2015. The key metric for the program is known as the SNF 30-Day All-Cause Readmission Measure (SNFRM). SNFRM estimates a risk-standardized rate of all-cause, unplanned hospital readmissions of Medicare SNF beneficiaries within 30 days of discharge from their prior acute hospitalization. Having at least one RN who has been certified in gerontological nursing by the American Nurses Credentialing Center (ANCC) has been correlated to achieve better outcomes in nursing facilities. Research conducted by AHCA/NCAL in 2016 found that the rehospitalization rates in nursing facilities with at least one RN certified in gerontological nursing by the ANCC consistently have run at least two percentage points lower than the national average since 2011. AHCA/NCAL’s research also found that nursing facilities with at least one ANCC board certified nurse were twice as likely to receive an overall 5-Star rating from CMS and far less likely to receive a 1-Star rating. ANCC is the world’s largest and most prestigious nurse credentialing organization and a subsidiary of the American Nurses Association. Less than one percent of America’s RNs are board certified in gerontological nursing. To help increase the number of board certified RNs, AHCA/NCAL’s Gero Nurse Prep program is designed to help RNs prepare for and pass the ANCC gerontological certification exam. RNs who complete the AHCA/NCAL Gero Nurse Prep program have a passing rate of 96 percent on the ANCC exam on their first try and receive 30 CEUs. Set the course toward Medicare success and check out AHCA/NCAL Gero Nurse Prep today. Remember to enter promo code QUALITY17 and save $100 off the registration fee now through April 30. With the decision a few weeks ago to withdraw the “American Health Care Act” from consideration in the U.S. House of Representatives, efforts to repeal and replace the Affordable Care Act (ACA) are on hold for now. This means that the individual and employer mandates under the ACA remain in effect. The Internal Revenue Service (IRS) has guidance about the individual mandate that answers many of the common questions individuals and families may have about the ACA. The IRS also has guidance for employers about the employer mandate. It is likely that Congress will again consider repealing and replacing all or part of the ACA again in the future. AHCA/NCAL has created a special web page containing the latest news related to the ACA. In addition, AHCA/NCAL will continue to keep members apprised of any developments to members about important ACA developments as they occur through our AHCA/NCAL member communications. Employers currently renewing their employee health benefit plan should choose a plan that is ACA compliant. AHCA/NCAL Insurance Solutions was created to help members save money on their employee benefit plans. To explore your health plan options available through AHCA/NCAL Insurance Solutions, contact Dave Kyllo at 202-898-6312 or Nick Cianci at (202-898-2841) or email us at ahcainsurancesolutions@ahca.org. Congress nullified OSHA’s rule finalized in December 2016 “Clarification of Employer’s Continuing Obligation to Make and Maintain Accurate Records of Each Recordable Injury and Illness,” informally referred to as the “Volks” rule. The Volks rule made recordkeeping requirements a continuing obligation and effectively gave OSHA the ability to issue citations to employers for failing to record work-related injuries and illnesses during the 5-year retention period, contrary to the six-month statute of limitations. President Trump has indicated he will sign the resolution. When President Trump signs the resolution, recordkeeping requirements will return to those before the new rule. At that point, https://www.osha.gov/recordkeeping/index.html will be updated to reflect the ongoing requirements without the Volks rule. Are You Ready for the New Emergency Preparedness Requirements as an ICF/IID Provider? Guest speaker, Jocelyn Montgomery, RN, and Director of Clinical Affairs at the California Association Health Facilities (CAHF), reviews the new emergency preparedness final rule impacting Intermediate Care Facilities for Individuals with Intellectual Disabilities (ICF/IID). The rule was released on Friday, September 16, 2016, and can be found here. The final rule impacts ICF/IIDs, Skilled Nursing Facilities, and Nursing Facilities. This final rule is not applicable to Assisted Living Providers. ICF/IID providers will need to be in compliance by November 2017. This March 21, 2017 webinar recording includes, among other things, an overview of the key new requirements, a list of tools to assess if you are prepared for the rule, and steps to take now to prepare. Finally, CAHF and AHCA have put together a SNF and ICF/IID Emergency Preparedness CMS Final Rule summaries that can be found online. 2017 Nursing Home Salary & Benefits study is currently underway. The study is conducted and published by Hospital & Healthcare Compensation Service (HCS) in cooperation with AHCA. Last year’s study had 2,000+ participants. With your continued help, we can increase participation, making the Report even more valuable to users! The results report data by bed-size, profit type, revenue size, region, state, and CBSA. Reminder, the most recent Assisted Living Salary & Benefits Report was published this January. The AHCA/NCAL member rate is only $275, compared to the nonmember price of $350. On March 24th 2017, CMS released a Survey and Certification memo titled Information to Assist Providers and Suppliers in Meeting the New Training and Testing Requirements of the Emergency Preparedness Requirements for Medicare & Medicaid Participating Providers and Suppliers Final Rule. The memo provides clarification to providers and suppliers in meeting the Training and Testing requirements of the new Emergency Preparedness Final Rule that was published on September 16, 2016 (81 FR 63860) and became effective on November 15, 2016. FREE Webinar! Learn About AHCA’s New Online Blended Nurse Assistant Training Program. 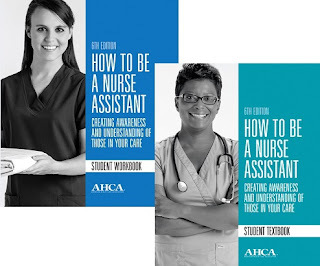 AHCA has just launched a new blended program for training and certifying highly qualified nurse assistants. Using the acclaimed How To Be a Nurse Assistant curriculum, you can now train CNAs with a combination of online study and in-person clinicals without compromising any of the quality you have come to expect from AHCA. Join us for this free webinar to learn more about the fantastic benefits and cost savings of this program. You will have the opportunity to ask questions and learn how you can take advantage of this new opportunity. Learn how you can utilize and benefit from this latest advancement in nurse assistant education. Sign up for the webinar today. Visit CNAonline.ahca.org for more information about the online program. A Centers for Medicare and Medicaid Services (CMS) MLN Connects March 16, 2017 e-newsletter provided the following reminders and educational resources to help SNF providers avoid SNF PPS denials due insufficient physician certification documentation. SNF billing and compliance personnel are encouraged to review the following information. The next Center for Medicare & Medicaid Services (CMS) Skilled Nursing Facilities (SNF)/Long Term Care (LTC) Open Door Forum is scheduled for tomorrow, March 23, 2017 at 2 PM Eastern Time. The conference leaders will be Todd Smith and Jill Darling. The next Open Door Forum is scheduled for Thursday, May 4, 2017. This Open Door Forum is not intended for the press, and the remarks are not considered on the record. If you are a member of the Press, you may listen in but please refrain from asking questions during the Q & A portion of the call. If you have inquiries, please contact CMS at Press@cms.hhs.gov. If you are unable to join the call tomorrow, CMS Open Door Forums will now be available through Podcasts. Please visit: https://www.cms.gov/Outreach-and-Education/Outreach/OpenDoorForums/PodcastAndTranscripts.html. Please allow a week or so to get it posted. There are 20,588 open jobs this month in the nursing care facility (including SNFs), assisted living, and continuing care retirement community (CCRC) sectors this month according to the latest CEB TalentNeuron statistics. The number of open jobs has decreased by 1,300 since January. Correlating to this decrease is a small decline in the number of employers currently competing to fill positions. Slightly more than 2,000 direct employers are competing for candidates in March with the average position being posted for 50 days nationwide. Finding qualified employees is one of the greatest challenges facing long term care providers. The AHCA/NCAL Long Term Care Career Center, is designed to help members be competitive in attracting qualified candidates to fill their health care job vacancies. Rates for posting job vacancies are affordable and give prospective employers far greater exposure than local ads and job boards by connecting to a network of more than 330 health care organizations and societies. Employers are also able to post vacancies as they occur and search resumes on the network. Job postings on the AHCA/NCAL Long Term Care Career Center network are averaging nearly 1,800 views in March. Of course, the LTC Career Center is always free for job seekers. And, job seekers are using the site with more than 84,000 searchable resumes on the National Healthcare Career Network this month. Be smart and targeted in your search for qualified and talented health care professionals. Check out the LTC Career Center today and remember to enter promo code New25off to save 25% on your first job posting. Health Care Interactive has an interactive U.S. map that shows which CARES dementia training courses fulfill existing state dementia training requirements for various care settings. In states without specific training requirements for certain settings, HCI make recommendations on which training modules would be helpful for staff. CARES contains six training courses that can be ordered individually or as a group. Bulk on-site licenses are also available. In addition, up to five essentiALZ® certifications from the Alzheimer’s Association can be earned by completing the training modules. AHCA/NCAL recommends the CARES training program to help safely reduce the off-label use of antipsychotics and the CARES program is also supported by CMS. All AHCA/NCAL members receive a 10% discount on the CARES programs by using the code AHCA10 when ordering. For more information, watch this new short video or go to www.hcinteractive.com. Research conducted by AHCA/NCAL last summer found that the off-label antipsychotic use in skilled nursing centers with at least one RN certified in gerontological nursing by the American Nurses Credentialing Center (ANCC) were an average three to four percent lower than the national average in each quarter calendar years 2012 through 2015. Given the similarities between skilled nursing centers and assisted living communities, it is possible that similar correlations could hold true for assisted settings. Reducing off-label antipsychotic use is one of the goals in the AHCA/NCAL Quality Initiative. Having RNs who are knowledgeable in gerontological nursing can be a key factor in driving non-pharmacological alternatives in providing quality dementia care. Over 100 AHCA/NCAL Members are in Washington, D.C. today to advocate for preservation of Medicaid funds and survey reform. As Congress moves forward on health care reform efforts, the fly-in comes at a critical time. Advocates will focus on opposing efforts to cut Medicaid funding for older adults, individuals with disabilities, and their services. Medicaid already underfunds care in some settings, and superficially only pays 89 cents for every dollar of care delivered in a nursing home. AHCA/NCAL members will urge lawmakers to oppose efforts that reduce funding even further. Members will also be educating Members of Congress on recent changes at the Centers for Medicare and Medicaid Services (CMS) that have led to a dramatic rise in the issuance of Civil Monetary Penalties (CMPs). Sub-regulatory guidance from CMS has caused skilled nursing facilities (SNFs) to endure financial hardship because of the increasing volume and dollar amount of these CMPs. Advocates will ask Congress to urge CMS to come up with reasonable solutions that ensure continued quality of care but do not unduly punish SNFs. This surge of CMPs takes place at a time where SNF quality is improving, and even the highest-quality providers are being burdened by these penalties. A new evidence-based toolkit from the Agency for Healthcare Research and Quality (AHRQ) can help long-term care facilities reduce catheter-associated urinary tract infections (CAUTIs). The toolkit is based on the experiences of more than 450 long-term care facilities across the country that participated in an AHRQ-funded project and successfully reduced CAUTI. The new toolkit uses strategies from AHRQ's Comprehensive Unit-based Safety Program (CUSP), which has reduced CAUTI as well as central line-associated bloodstream infections in hospitals. The toolkit combines clinical interventions and best practices for infection prevention with behavior change elements that promote leadership involvement, improvement in safety culture, teamwork, and communication, and sustainability. Its user-friendly educational modules, guides, and tools can help your facility advance from the "what to do" to the "how to do it.” The modules are customizable to local needs. They include: Using the Comprehensive Long-Term Care Safety Toolkit; Senior Leader Engagement; Staff Empowerment; Teamwork and Communication; Resident and Family Engagement; Sustainability; Indwelling Urinary Catheter Use and Care; and Urine Culturing and Antibiotic Stewardship. The Department of Health and Human Services (HHS) this morning issued an interim final rule delaying the effective date of the final rule, "Advancing Care Coordination through Episode Payment Models (EPMs); Cardiac Rehabilitation Incentive Payment Model; and Changes to the Comprehensive Care for Joint Replacement Model." The initial final rule, published on January 3, 2017, implements three new mandatory bundled payment models - coronary artery bypass graft (CABG); acute myocardial infarction (AMI); and surgical hip and femur fracture treatment (SHFFT) - in a variety of healthcare markets across the country. The effective date of the new mandatory EPMs originally was July 1, 2017. The interim final rule issued today delays the effective start-date of the three new EPMs for three months, to October 1, 2017. HHS is seeking comment on the appropriateness of the delay and is specifically requesting feedback on delaying the start-date even further to January 1, 2018. Other components of the original final rule are also delayed to October 1, including the cardiac rehabilitation incentive payment program and modifications to the Comprehensive Care for Joint Replacement (CJR) demonstration. According to the rule, HHS is delaying the rule "to allow time for additional review, to ensure that the agency has adequate time to undertake notice and comment rulemaking to modify the policy if modifications are warranted, and to ensure that in such a case participants have a clear understanding of the governing rules and are not required to take needless compliance steps due to the rule taking effect for a short duration before any potential modifications are effectuated." The rule specifically references the "Regulatory Freeze Pending Review" executive memorandum signed by President Trump on January 20, 2017. HHS Secretary Tom Price has previously stated his preference for delivery system and payment reform demonstrations that are voluntary as opposed to mandatory. This interim final rule signals that the agency is willing to reconsider its approach to broad, mandatory payment demonstrations. Comments on the interim final rule will be due April 19th. AHCA plans to submit comments. Please contact James Michel with any questions or comments on this rule or AHCA's response. CMS Call on IMPACT Act Implementation - Register Now! On Wednesday, March 29 from 1:30 - 3 pm Eastern Time, CMS will host a webinar to review its efforts to develop, implement, and maintain standardized Post-Acute Care (PAC) patient assessment data and pilot testing results. As CMS works toward implementing the Improving Medicare Post-Acute Care Transformation (IMPACT) Act that requires changes to the MDS, the RAND Corporation, under contract to CMS, will be working with skilled nursing centers in 14 metropolitan areas this fall to test NEW sections for the MDS. Representatives on the call will also discuss plans for the upcoming field test. Be sure to register and join the call if you are in any of the markets below. To register, visit MLN Connects Event Registration. For more information, email impactsignup@abtassoc.com. NOTE: Registration will close at 12:00 PM Eastern Time on the day of the call or when available space has been filled. Help spread the word on Facebook and Twitter, using these helpful sample posts (or create your own). Stay connected and informed about Patient Safety Awareness Week activities. Learn what others are doing for Patient Safety Awareness Week and share your ideas and activities to inspire others. The Senate voted 55-43 to approve Seema Verma to run the Centers for Medicare and Medicaid Services (CMS) Monday, filling a critical top health care role in the Trump administration. Verma was formerly the owner of SVC Inc., a health care consulting firm specializing in Medicaid reform at the state level. She worked with Vice President Mike Pence when he was Governor of Indiana, as well as several other states. Last week, Parkinson and NCAL Executive Director Scott Tittle penned an op-ed supporting Verma's nomination. 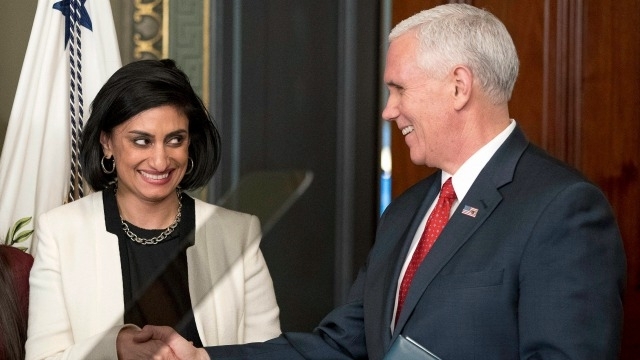 Verma will report to Health and Human Services Secretary Tom Price, who was confirmed earlier this year. Arthritis is a leading cause of disability among adults in the U.S., with more than 50 million individuals managing symptoms like pain, stiffness, and inflammation. Join this webinar by NCOA and the Arthritis Foundations to learn about new strategies and tools to help you better tackle this issue in your community. The prevalence and impact of arthritis. Strategies that can connect people to evidence-based programs in order to manage arthritis symptoms and remain active. Resources from the National Council on Aging (NCOA) and the Arthritis Foundation. Successful practices from the Utah Arthritis Program. Learn more about NCOA, the Arthritis Foundation. 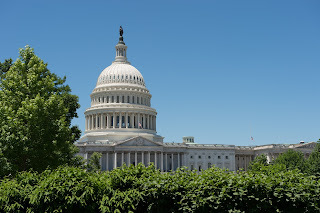 Join AHCA/NCAL in Washington, DC this spring as we take your concerns directly to the Hill. You'll also enjoy terrific guest speakers. This year's keynote is Fox New Channel Anchor Bret Baier. Plus, many more special guests will drop by. Check CB.ahcancal.org over the next several weeks to see updates on the events happening during the two jam-packed days of Congressional Briefing. No one ever goes home disappointed! The conference registration fee is complimentary to AHCA/NCAL Members and AHCA/ NCAL Associate Business Members, and their spouses, and is accepted on a first-come basis. Register now and make your hotel reservations. Rooms will fill up quickly! Last week, NBC Nightly News and MSNBC featured segments that continue to shine a spotlight on the observation stays issue. For both stories, National Correspondent Kate Snow, reported on the impact of Medicare’s current law that leaves thousands of beneficiaries stuck with high medical bills after leaving the hospital if skilled nursing care services are needed. And on MSNBC, Snow interviewed Representative Joe Courtney (D-CT) about his bipartisan legislation that will help fix the current policy. The MSNBC video with Rep. Courtney discusses the Improving Access to Medicare Coverage Act. The NBC Nightly News segment with Lester Holt discusses the importance of knowing your hospital status before being discharged. 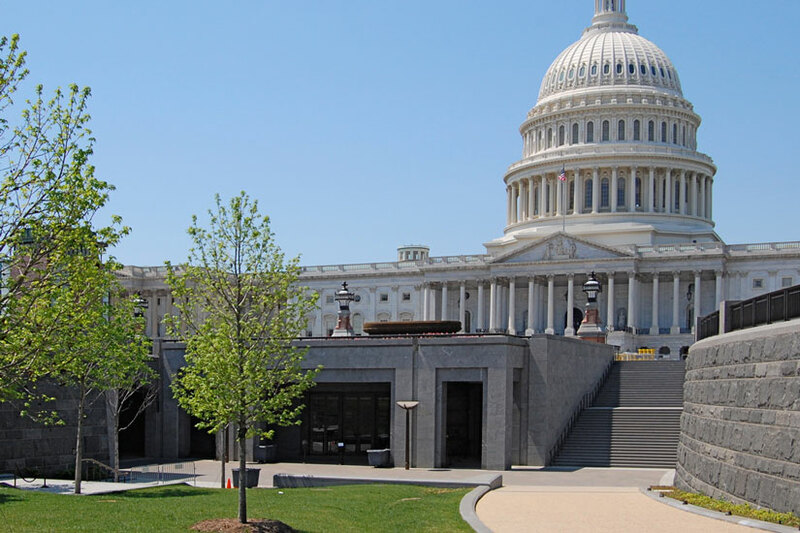 The American Health Care Association/National Center for Assisted Living (AHCA/NCAL) continue to keep the observation stays issue one of its top advocacy priorities. To learn more about observation stays, visit our website here. Come engage with fellow emerging leaders in an unrivaled opportunity to strategize, advocate, connect, and innovate the future of the health and aging services profession. 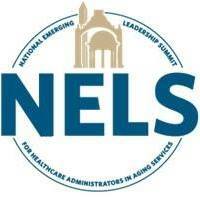 The National Emerging Leadership Summit in Washington, D.C. aims to increase, improve, and support the health and aging services profession to attract talent and future leaders by giving a voice to the next generation of leaders. 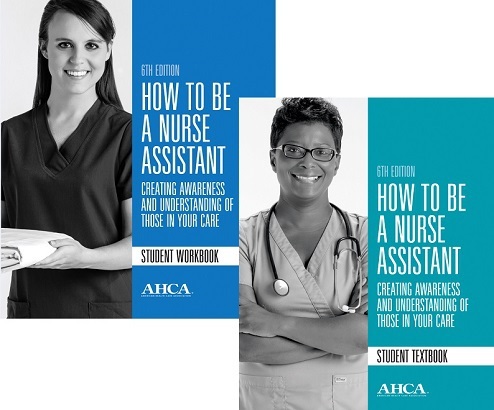 FREE Webinar Helps You Discover the Best New Nurse Assistant Training Program in the Country! AHCA is thrilled to announce a new blended program for training and certifying highly qualified nurse assistants. Using the acclaimed How To Be a Nurse Assistant curriculum, you can now train CNAs with a combination of online study and in-person clinicals without compromising any of the quality you have come to expect from AHCA. Yesterday, on March 13, 2017, President Trump issued a Presidential Executive Order on a Comprehensive Plan for Reorganizing the Executive Branch. The purpose of the order, as the White House notes, is to improve the efficiency, effectiveness, and accountability of the executive branch by directing the Director of the Office of Management and Budget to propose a plan to reorganize governmental functions and eliminate unnecessary agencies (as defined in section 551(1) of title 5, United States Code), components of agencies, and agency programs. At this time, AHCA is analyzing it to determine how it could benefit our profession. We will update you with any relevant information post-review of the order. On Thursday, April 27 AHCA will host a webinar with guest speakers Ray Miller, Director of Risk and Safety Solutions from Direct Supply and Craig Camidge, Executive Director and Regional Coordinator from Near Southwest Preparedness Alliance (NSPA). The webinar will be on the new emergency preparedness final rule impacting Skilled Nursing Facilities, Nursing Facilities and Intermediate Care Facilities for Individuals with Intellectual Disabilities. This final rule is not applicable to Assisted Living Providers. Providers will need to be in compliance by November 2017. The webinar will include an overview of the all-hazard risk assessment, how to address health and safety risks for your population and reasons to network with other providers. This is the second webinar in the four-part webinar series AHCA will hold this year on the emergency preparedness rule. Last week, the American Health Care Association and National Center for Assisted Living (AHCA/NCAL) commended several members of Congress for reintroducing the Improving Access to Medicare Coverage Act of 2017 (S. 568/H.R. 1421). Introduced on March 8, 2017 by Congressmen Joe Courtney (D-CT) and Glenn “GT” Thompson (R-PA) and Senators Sherrod Brown (D-OH), Susan Collins (R-ME), Bill Nelson (D-FL) and Shelley Moore Capito (R-WV), the legislation ensures that time spent under “observation status” in a hospital counts toward satisfying the three-day inpatient hospital requirement for coverage of skilled nursing care services under Medicare. The Observation Stays Coalition, which consists of 31 organizations including AHCA/NCAL, fully supports this legislation. AHCA/NCAL continues to keep the observation stays issue one of its top advocacy and outreach priorities. Increasingly, patients have no idea what their status is in a hospital, or the importance of it, which can lead to thousands of dollars in out-of-pocket medical expenses should they need skilled nursing center care following their hospital stay. In addition to placing a financial burden on seniors and their families, this anomaly in Medicare rules can cause unnecessary spend-down, accelerating the time frame in which seniors will have to turn to programs such as Medicaid to pay for their care. For more information about the observation stays issue, please visit the AHCA/NCAL website. You also might be interested to read this Journal of Hospital Medicine March 2017 editorial entitled Medicare and the 3-Inpatient Midnight Requirement: A Statute in Need of Modernization written by Representative Joe Courtney and Dr. Ann M. Sheehy of the University of Wisconsin School of Medicine and Public Health. Maximize Your RN Talent to Reduce Rehospitalizations! Having at least one RN who has been certified in gerontological nursing by the American Nurses Credentialing Center (ANCC) has been correlated to achieve better outcomes in nursing facilities. Research conducted by AHCA/NCAL in 2016 found that the rehospitalization rates in nursing facilities with at least one RN certified in gerontological nursing by the ANCC consistently have run at least two percentage points lower than the national average since 2011. AHCA/NCAL believes that assisted living settings will experience similar results by increasing their RNs’ gerontological expertise. AHCA/NCAL Gero Nurse Prep is on sale now through April 30 and each RN registrant can save $100 off his/her Gero Nurse Prep by entering promo code QUALITY17 (all caps) at checkout. RNs who are interested in boosting their credentials and expertise can become board certified for less than $1,000 ($590 sale price for AHCA/NCAL Gero Nurse Prep and a separate $395 to take the ANCC exam). The time to complete for the Gero Nurse Prep program is flexible. RNs have one year to complete the program and the clock does not start ticking until they start begin their coursework. Get an edge on your competition and order now while Gero Nurse Prep is on sale and save $100 by using entering promo code QUALITY17 (all caps) at checkout. Hans Christian Anderson once said “where words fail, music speaks.” Members can keep music alive in their communities through music offered by Mood Media at AHCA/NCAL “Member Only” discounted rates. Mood Media offers great musical variety for events or casual common area listening via the internet or streaming, and offers customized commercial free music options that allow facilities to tailor musical selections to meet changing resident preferences. Mood customers enjoy freedom from music licensing worries on Mood Media’s huge collection of music selections played on Mood Media's portable devices. · Provide musical entertainment for social gatherings and happy hours. AHCA/NCAL members receive exclusive discounted rates on Mood services and equipment with three-year agreements. The core music package starts at $29.99 per month or about $1 per day with a three-year agreement. For more information about Mood Media’s services, call 800-345-5000 or go to http://partner.moodmedia.com/ahcancal/ (password: moodpartner). Please join the American Assisted Living Nurses Association (AALNA) and the National Center for Assisted Living (NCAL) for our first Caring Together Webinar of 2017 on March 14 at 3:00pm to 4:00pm Eastern. Our presenter will be Liz Jenzen, RN MSN, RN-BC with Direct Supply who will be talking about rising acuity in assisted living. Assisted living providers are realizing both the benefits and challenges of meeting the rising acuity needs of their residents. Advancing age and chronic diseases are challenging providers to consider how to best meet those needs. A chronic disease management framework offers opportunities to expand clinical capabilities and integrate with existing service models. Trends in programs, clinical capabilities and services as well as resources and tools will be explored. Sign-up prior to the webinar here.